Is This a Book You Would Read? I’ve never done this. Will you help me out? 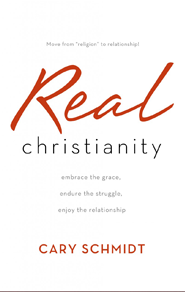 I’m completing a book project right now about the normal, authentic, daily Christian life. It’s a book about all the misconceptions and misunderstandings that keep us from enjoying our relationship with Jesus. It’s basically the truths that have kept me walking forward with Christ when so often I feel like a failure. The reason I’m writing it is that I have many new Christians in my world, and I want to hand them something to help them understand that Christianity is a relationship not a religion. I’d like to get your feedback, and so I’m posting the introduction below. It’s 3,000 words, so not a normal post. If you have the time, would you read and either leave a comment or shoot me an email with feedback? Here’s my basic question—is this a book that you would read? Do you feel it would be helpful to growing believers? The afternoon was wearing on. It was hot. The summer sun was at its peak. The day had already been long—and emotional. She was getting tired, and there was still a long day ahead. Pose after pose, click after click, smile after smile, the photographer never seemed satisfied. Her feet hurt. Her dress was uncomfortable. Her cheeks ached from “having to smile.” Her energy waned. Dizzy. Light-headed. Short of breath. Disoriented. Regroup. Catch your breath. Pause. Press on. She was my future daughter in law on her wedding day. My wife and I stood with her parents in the shade, watching the wedding photos come together. After eighteen years of friendship, we were relishing the joy of these long anticipated moments. Truly, it was wonderful. It was overwhelmingly perfect, in every way. It was joyous beyond description. It was a picture of purity and blessing. It was a delightful portrait of God’s redemptive love—the groom and his bride. It was everything we hoped and dreamed it would be. But being the bride had it’s difficult side. It was exhilaratingly exhausting. Beautifully depleting. Wonderfully wearying. There was a lot of work in waiting. Standing still. Enduring the heat. Putting up with the portraits. Holding the pose. Again. And again. She needed some rest. A soft chair. Cold water. Fresh fruit. She needed to lean on someone. She needed a break. Being a bride was harder than she imagined it would be. But being married would be a dream come true—the fulfillment of a lifetime hope! True love waiting in temporary toil. Bliss wrapped in burden. Hope held up in hardship. Paradise arrested by pause. In some sense, I see myself and my Saviour in this picture. I see my Christian life—and yours. Jesus, the perfect Redeemer—the Bride Groom who has prepared a place for me. Me, the weakening bride, wishing He would quickly remove me from this present struggle called “life” and fulfill his ultimate promise of redemption and perfection—eternal hope, Heaven, and freedom from the restraints and discomforts of a sin-sick world and a sin-scarred life. The mothers rush to her aid. “Sit down for a moment.” “Have some water.” “Eat some food.” A few moments of rest. Then, more photos. More standing. More waiting. More enduring. And more weariness. Her eyes would wander off with her thoughts. Her heart and mind was already there—far from it all and in love with him. Until another shutter would click, another bulb would flash, another “smile” commanded, jolting her back to the present reality. The wedding was still a few hours away. And the wait would seem almost unbearable. Are You a Joyful Christian? I don’t mean “are you religious?” I don’t mean “do you use the word Christian in some vague, gratuitous, religious way?” I mean, when it comes to your eternal destiny—your salvation from the penalty of sin and your hope of eternal life in Heaven—are you trusting in Jesus Christ alone to save you? Do you have a personal relationship with Him? Or, are you trusting yourself? Your good works? Your church? Your past religious behavior or observances? Are you trusting anything other than the saving work of Jesus Christ to remove your guilt of sin and give you His righteousness in exchange? If you are not sure about these questions—then read on, because this book will explore these thoughts more deeply, and hopefully introduce you to truth that will radically transform your thinking. Second question. If you are a Christian—are you enjoying your Christian life? Somewhere between meeting Jesus and today, you’ve discovered that “being a bride” can be difficult. The joy can easily be replaced with anxiety. The grace can be overshadowed by perceived expectations. The victory in Jesus can be overcome by failure in self. The journey we call “the Christian life” can subtly and swiftly move from being “amazed by unconditional grace” to being “unable to measure up!” It can move from being a real relationship to being a rigid religion—a system of behavior modification rather than an experience in knowing, loving, and being loved by a personal Saviour. If you are anything like many Christians, you are disillusioned. The promise of being Christian has somehow broken down, let you down, or left you with less than you expected. The hope you found in Christ has been tarnished by the hurt of this present life. The “new you” that was born the moment you met Jesus hasn’t fully emerged, and the old you seems all too much alive and in control. Perhaps this book finds you nearly exhausted. The hope you found in Christ has faded into weariness, failure, disillusionment, and guilt. Maybe you’re thinking of giving up. You’ve figured out you don’t know what you’re doing. You feel like you can’t get it right, like you can’t measure up to this “bride gig.” Your faith has collided with frustration and failure, and you’re pretty sure you’re just a big disappointment to God—one of His “let downs” in the grand redemption of mankind. You regroup. You try harder. You renew your decision to redouble your efforts. Others around you seem to be doing fine in this thing called “the Christian life”—what’s your problem? You can’t seem to get it right. You can’t seem to get your heart in sync with your behavior, and all of it in sync with God’s apparently “very high expectations.” You beat yourself up—certain that you deserve it. You shame and guilt yourself to sleep. You determine to try harder tomorrow. You’re sure God is unhappy with you. After all, Jesus died for you—you certainly owe Him some pretty massive effort! (Or so our natural assumption goes.) Let’s face it, salvation is a pretty big debt to pay down. You know He is worthy of your best. Yet, no matter how hard you try, you feel like a perpetual failure. The debt looms. The law screams your sinfulness. Your accuser reminds you of your faults. The burden of living the Christian life berates and bullies you to “be better, try harder.” You’re just sure that God is looming over the edge of Heaven, arms folded, frowning upon you like an angry head-master at an orphanage. Hold these thoughts. They are not accurate. They are a lie, and there is a different way. Keep reading. There’s more to the Christian life. It’s not an experiment in behavior modification. It’s not an attempt to appease God, repay Him for His love, or impress Him with our exhaustive efforts. It’s not what you think. There’s more! It’s way better than you think! If you experience these emotions—you’re normal. It’s woven into our human psyche to try to “measure up.” But the gospel is the “good news” that you can’t measure up and you don’t have to. You don’t need to “measure up.” You need to cry “mercy.” Biblical Christianity is an adventure in lavish grace—undeserved favor, unmerited love, unearned goodness. Through these pages it is my desire to strengthen you in grace—to expose the lies, and examine the truth. It will truly make you free—free from disillusionment and free to enjoy walking with Jesus and knowing Him. Free to be His bride! Free to be the child He already loves very much! You long for what was promised. A Saviour. Grace. Goodness. Abundant life. Hope. Heaven. Peace. Joy. You dream of rescue. You sigh for relief. Like my daughter-in-law on her wedding day—your eyes drift, your heart yearns, your mind wanders to a promise. It’s foggy, it’s mysterious, it’s vaguely close but strangely distant. You’ve almost lost hope. The promises of redemption—the moment when your Groom, your Saviour, will come and rescue you into a perfect eternity—free from struggle and sin—and self. That’s what you long for. But for now you find yourself held hostage. Suspended between a serene someday and a painful present. It’s frustrating. It’s a struggle. It’s exhausting, disappointing, and depleting. It’s hard. Harder than you imagined. Harder than anyone told you. You need rest. You need strength. You need hope. You wonder where you went wrong. You wonder why your Christian life seems so impossible and everyone else’s seems so “together.” You wonder why God tolerates you, and you know you’re wearing His patience thin. You’re pretty sure that He’s going to give up on you at any moment. So, are you enjoying your Christian life? If you identify with these experiences—probably not. Perhaps you’re wondering how I know? How can I so accurately profile your Christian experience? Because it’s mine. Yes, friend—I’m a struggling Christian. My struggle is in it’s thirty-seventh year of groaning. Thirty-seven years of wedding photos—waiting for wedding day! And yes, everything I described in the previous paragraphs are my very own experiences and mis-adventures in misunderstanding my Christian life. These descriptors are my own raw feelings played out on the bleeding edge of my own internal, spiritual battles. I’ve quit more than I can admit. I gave up more times than I can remember. You won’t find a bigger loser, a greater “underserver”, a more proficient “Christian failure” than me. Really. While being saved is the most awesome thing that ever happened to me, being a Christian is the most impossible thing I’ve ever attempted. Paradox of paradoxes—joyfully troublesome, blissfully burdensome, blessedly impossible, wonderfully hard, horribly delightful. The Christian life is a world of paradox—a relationship with your Creator that will lead you into a fiery furnace to meet a faithful friend, into a raging storm to discover a Sovereign Saviour, into a whale’s belly to find amazing grace, onto a bloody cross to meet a suffering God, and into a deathly tomb to discover new life. It’s a relationship in which dying is living, losing is finding, surrendering is winning, and failure is not final—ever! It’s a journey where defeat is drowned in mercy, effort is overwhelmed by grace, and imperfection is shrouded in unconditional love. It’s a life where only destitution is granted deliverance, only ruin is redeemed, and only death can be resurrected. It’s the only life in which victory only follows failure, life only follows death, and succeeding only follows giving up. If you struggle as a Christian, welcome to normal Christianity. If you are having a hard time “living the Christian life,” congratulations on being exactly like everyone else! (Even those who pretend to have it all together.) If you are discouraged, frustrated, ready to quit, wishing you could pull your act together, hoping there’s some Utopian moment of victory out there somewhere, someday—you’re completely normal, and you’re not all that far from truth. That moment is out there. It’s just not now. It’s not here. Not yet. For now, we groan. We wrestle. We wait. We endure. We stand. We forbear. We fight. We war. These are the words Jesus used to describe our painful present. We earnestly desire that blissful joy for which we longed the moment we trusted Christ. We crave the victory promised over sin. We yearn for a sin-free world, a struggle-free heart, a strain-free life. We long for God’s rescue to be complete—redemption to run its full course of completion. Being suspended between then and now is just plain hard. Yes, we’re stuck in a struggle. Welcome to normal. The life of a bride before the wedding involves some waiting, some enduring, some weariness, even some frustration. But the dream of the wedding day—the promise of the Bride Groom, the hope of Heaven, overshadows all the grief. Then outweighs now. Hope holds us together when all else pulls us apart. Would you like to enjoy the journey? Would you like to understand and enjoy your Christian life? You can. You don’t have to be held hostage by misunderstood principles, misapplied half-truths, misappropriated Scripture, and overlooked precepts. With a biblical perspective, realistic expectations, and eternal hope, you can come to a point of rest, peace, and true joy. You can rediscover and renew the joy of your salvation. You can return to the delight of being a “newborn” in God’s family. You can recapture the wonder of belonging to your Bride Groom—Jesus—and anticipating your imminent wedding day. You were saved, not to languish in shame and guilt—but to savor the joy of knowing Jesus and walking with Him. You are the child of a loving Father, the delight of a sovereign Deity, the bride of a gracious Bride Groom, and the creation of an intimate Creator who loves you enough to die. It’s time you recover the lost joy of simply being a Christian—being in Jesus, belonging to Jesus, following Jesus, knowing Jesus, walking with Jesus, and anticipating all that Jesus holds in store for you in that imminent forever! It’s time to unchain yourself from false expectations, unbiblical imaginations, self-imposed regulations, and those perpetual self-incriminations that haunt your daily walk. It’s time to recapture the wonderful delight of simply being saved. These pages will not teach you “how to live the Christian life.” Only Jesus can do that. Hopefully these pages will help you fall in love with a Saviour—one who not only saves you from sin, but from yourself as well. It is my hope that by the end of this book, you will so much more love and understand Him, that you will grab ahold of His hand and never stop walking with Him until you see Him face to face. No matter how successful (or not) you become at “living the Christian life”—whether you hobble, limp, or leap across your finish line—I pray you will love Him and enjoy Him all the way! You’re Weary. But He’s in Love! So, you’re saved. You are in Jesus—His bride. But the time is long. The day is hot. The wedding seems a long way off, and you’re not sure you have the strength. You feel like a failure. You feel unfit, undeserving, and unable. You feel completely incapable. Why would He even want you? You’re disillusioned. Discouraged. Defeated. Despairing. You’ve lost the wonder because you feel like a failure. Truth is—He’s in love with you. You’ve disappointed yourself, but not Him. You are weak in yourself, but He’s not weak. You don’t see what He sees in you. You feel faint. You wonder why He would care for you. You fear you will not measure up to please Him. But He’s not measuring you up. He’s saving you from having to measure up. He fulfilled the law so you wouldn’t have to. He gave you His righteousness in exchange for your sinfulness. He isn’t comparing you with anyone or anything else. You cannot possibly be more perfect in His eyes—no matter what you do. You are His delight. You are His redeemed. You are complete in Him. Period. Dizzy. Light-headed. Short of breath. Disoriented. The journey can be depleting. The wait is sheer agony. The struggle is often blinding. It’s time to regroup. Catch your breath. Lean a minute. Reorient your heart to His Word. Recalibrate your identity in Him. Someone forgot to tell you some things about being “Christian.” This is different than you expected it to be. Harder somehow, but oh, so incredibly wonderful! Friend, don’t give up. Don’t walk away. The wedding is close and your Groom is near. I know the wait seems too much to bear, but redemption is real. And yes, you can enjoy simply being a Christian! Love it! I think this will be a great blessing to new converts. Thanks for allowing us to preview it! I would find it interesting if you also addressed the myth that is inadvertently perpetuated in fundamental Christianity that Bible Characters were somehow more perfect and spiritual than us today. And the fact that they are no different than us. They were everyday people with the same issues and the same temptations, and made the same mistakes. It seems to be a great book. I would read it, but would be let down if it embraced a modern-day grace focus. There are expectations of the bride to be chaste and holy and pure, and the grace of the bridegroom draws the bride to a holy life, does not push her away from that. Having read your blog posts often and several of your previous books, I believe that you would follow the biblical path; I’ve just grown weary of the all-too-often shift of biblical grace to “radical grace” from too many preachers that, though well-intentioned, are trying to help insecure Christians feel secure in their own flesh rather than the Spirit. It is true that we can’t measure up, but also true that in Him and His righteousness, we can be all that He wants us to be for Him. God bless you as you write this book for His glory and the edification of His people. It’s impossible to over-emphasize grace. It is possible to misrepresent it as a license to sin. The only hope of purity and holiness is grace… It’s the only path there. Nothing of self, all of grace. Without me ye can do nothing. So yes, this book will be all about grace… But not grace as a license, grace as our only hope. Grace is not an opposition to behavior, it’s the only door into Christlike thinking or living. Performance based acceptance is not Christianity. It all begins with unconditional love and grace as the greatest motivation for walking with Jesus. There is no greater motivation for life than God’s grace. I look forward to it’s release! I would very much like to also read this book . After knowing you at LBC for many years then seeing you expand to pastoring I am ready to read anything you put in print. The above posts echo my thoughts. You have a way of putting my most inner-feelings into understandable words. You have a gift of communicating through the written word that is very much needed today. God is blessing and has gifted you in the gifts you are using. What an example for us. Thank you as a fellow servant of Christ. I would definitely read it just like I have read all of your other books except Passionate Parenting because I don’t have kids yet. You will have people to read this book. I’m sure of it since you were the most famous youth pastor on the west coast. I would absolutely love to read a finished copy of this book! As always, I appreciate the refreshing transparency and humility of your writing. John and I have been blessed and helped by many of your books/blog posts! Thank you for your faithfulness and testimony for our Lord! I would definitely use this type of book for the members of my church. Of course, I recognize that it is something that I probably need much more than they do. Thanks for your tender heart towards God and your encouraging words to others. I, too, have been affected by the performance-based-Christianity mentality while growing up in fundamental Baptist churches. God has worked in my life through these churches, and sound doctrine and practice is something I do not take for granted in our age of doctrinal relativity. Yet, this mindset kept me from experiencing Christ in a real way. I never knew how to view or how to deal with my very human weaknesses and failures. Instead I tried to be “the model Christian.” It was a mere imitation. Not until I understood the power of Christ in me, and not until I have experienced the power of His grace, have I seen the futility and the hopelessness of my feeble efforts to live for Christ! Within just this past year the Lord used some trials and the loss of some very precious things in my life to bring me to this point. Despite the pain, I’ve never known more joy. No longer am I striving to perform the Christian life. No longer am I seeking to attain a spotless Christian testimony, nor am I making the opinion others have of me a daily concern. That is so empty — and I am so weak. All I am concerned with is a greater knowledge of my Lord Jesus Christ and His love for me, and being sensitive and obedient to His work of transformation in me. The reality of the living, daily relationship I have with Christ overwhelms me. I never knew this is what the Christian life is all about. I’m not called to perform but to be transformed; not to imitate, but to experience — this is the greatest truth I’ve learned. The Lord has greatly used your articles to bring several of these truths to my attention. Thank you so much, Pastor Schmidt. The grace of God is truly the resource of our power to live the Christian life. Yet I also hope you might emphasize what it means to walk in the Spirit (Galatians 5). This one simple truth has helped me more than a dozen best-selling Christian-Life-How-To books ever have! It has been life-changing knowing that the fruit of the Spirit in my life is supposed to be born as a result of walking in the Spirit, NOT by me trying my very, very best to do so (and failing every time). Once I understood that working on loving people better, being more joy-filled, being more at peace in the midst of trials, etc. wasn’t up to me, but rather that those things were what God wanted to produce in me as I relied on the Holy Spirit choice by choice throughout the day — step by step by step, just like walking, which is something we do almost without thinking of it — WOW. That made ALL the difference. I’ve also learned, in relation to this, that being holy and being sanctified and reforming sinful habits is not something I can do, but that’s something the Holy Spirit — given unto me, to abide in me and to empower me — can do in me if I specifically ask Him and truly depend on Him. Because my relationship with the Lord and His work in my life is a real thing! The true Christian life is absolutely incredible to me. I hunger to know more of Christ and to experience all that He desires to do in and through my life. Even through all the imperfection of who I still am, through the pain and the groaning and the fighting and the longing for Heaven, OH! WHAT a joy it is to serve with Him while on this earth for Him!!! There is nothing more fulfilling in all the world. I would definitely read this book (actually, I wish I had this 30+ years ago when I was first saved). I appreciate that you wrote it from a position of a fellow struggler in the trenches and not as one who is above us calling us up to your level of maturity. The church needs compassionate grace and discipleship that reaches into real life and not theoretical perfection that does not exist. This has the feel of coming along side and pointing to the Savior. it gave me (Dad) chills just reading your raw draft intro. I can hardly wait to see this completed… and if you need help proof reading, I have time to pitch in…It’s not just “fundamentalism” that needs this but all of the “ISMs”. They need to see and personally engage with the real Jesus of the Scriptures, not a conceptual reliigious leader even if they call Him, Saviour-Lord or even God. Matthew 7 shows we must KNOW Him or we are lost. We cannot contrive holiness and godly living. The LORD produces it in us as we learn to trust Him as a loving perfect parent who loved us first and implanted that love in us through the Spirit of Christ, the Holy Ghost, yet another comforter that we often ignore in our daily lives.. The scriptures are complete with the “how to” if we seek Him in them. AND TALK to HIM moment by moment. not just in our prayer times. “Three to thrive” is morning, noon and night like Daniel practiced, not just church services three times per week. 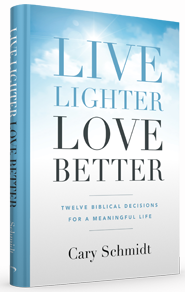 It’s awesome that God has led you to do this book and seek input from brethren who love Him (and you). We continue to pray for your quickening for the journey He has charted for you! I’m a worship leader at a church in Memphis, and I’d love to read the book. Perhaps the reason we have so much unholy, lawless living is not because we get grace too much but because we actually get grace too little. I think a book that focuses our attention back on God’s unconditional grace is greatly needed in our churches today. The grace of God is a topic that’s under-emphasized and cannot be overemphasized. This is on point. I agree with everything Dad 🙂 said. I would definitely read, and I believe it would be used of God to strengthen my walk and many others as well! I would push it to all of my teens! Grace has become abused; therefore, I think we are scared of it sometimes. But, there’s no other word for grace than AMAZING! I definitely know some people who will be encouraged by this book, myself especially! The introduction is a beautiful picture. We stay faithful and pure, not because of religion. We do it because we anticipate forever with the One we love. All the while He is encouraging us and anticipating too! I always enjoy your writing. 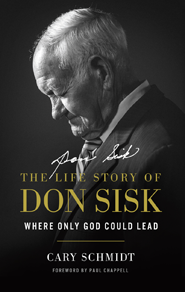 This will be a much needed and well received book. You have described it well; “The burden of living the Christian life.” I have been there, and sadly many within fundamental churches feel the same. We need to bring back the joy. The fear of “radical grace” has just about eradicated grace. Can’t wait for the rest of the book! I noticed that the most part your previous books focus on a stage in life. Books like Discover Your Destiny, Life Quest, and Just Friends are classics for teenagers and young adults. 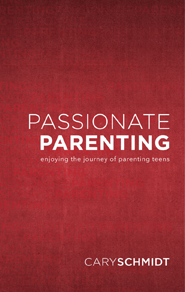 Passionate Parenting and Hook Line and Sinker for couples and their young families. Off Script for someone going through a major rewrite in their life. But this book will be for those who are just saved and need that hand to guide them from the misconceptions and misunderstandings of Christianity toward the rewarding walk they can have with Christ. It’ll be for the 20-something year old who got saved as a child and is struggling with their salvation. It’s for the parent who feels his family and himself drifting. For church members who feel like “spiritual sponges”, going to church week in and week out but not really “getting anything” like they used to. They serve just enough to get the pastor of their back. They’re praying “Even so come Lord Jesus.” It’s for those who have come back to church who feel judged by their past. The message of not trying to “measure up” but cry “mercy” definitely applies here. This book will by far be the most versatile. And really that’s the message of grace. It spans every age group, every walk of life, every failure and frustration, every person. I will pray for you in this quest! Your posts are a blessing to me, i can only see blessings in your book(S) for many! I would gladly read and recommend this books to our folks at church. For many years even as A Church Planter and Pastor I struggled with the very concepts you address in the Introduction. Lord knows it is a constant battle to stay on top It seems. I have aman I am counsel ling right now that will greatly benefit from a book like this this. Thank you for being transparent in your faith and I look forward to when this book is published. This is very easy to read and to assimilate, and is a subject that is relevent to all of us. I am a pastor’s wife and I work as well in the secular world. I would definitely read this book. It sounds like a tool that I could give to others at work that are open to Bible truth, and certainly use in the ministry within the local church. Thank you for your diligence to provide Biblically based books for those of us who desperately need them. I teach high school girls in SS, am counseling a young adult and am a trainer at work. I am constantly searching your sites for information and help. Thanks again! Great descriptions. The wording and use of adjectives are very compelling to draw a reader in. Great theme. Continuing this book will help some people. Thankyou for your ministry. Hi I would read this book because having read your earlier book Done. I know you are writing this from the heart and it is refreshing and uplifting for a pastor to really tell it how it is. If only there were more people out there who are not afraid to speak the truth. For too long, so called religious leaders have been ignorant of the truth and or afraid to “keep it real”, by telling people what the true message that the bible teaches, after all the Bible is a book of learning and guidance of our daily walk with God, keep up the good news. It is a shame I am in Australia because I would love to come to your church. All the best Cary and God bless you.